Israel Folau has extended his Wallabies and Waratahs contract with a deal that will keep him in rugby union until 2022. Having switched to union from rugby league in 2013, Folau already has the fourth-most tries in Wallabies Test history with a strike rate of just over one touchdown in every two games he has played in the gold jersey. 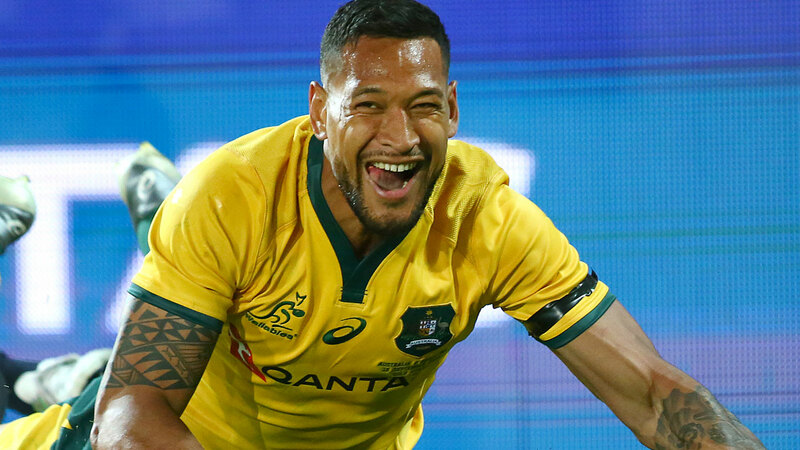 "I'm really grateful to Rugby Australia and the Waratahs for all they have done for me," Folau said in a statement issued by NSW Rugby on Saturday. "When I made the switch to rugby five years ago, I could never have dreamed that it would have gone this well. "The World Cup is a big target of mine this year and I believe this Wallabies group can go a long way if we keep on improving. I'm looking forward to working hard and doing whatever I can to help the team achieve what we want to achieve both this year and into the future. 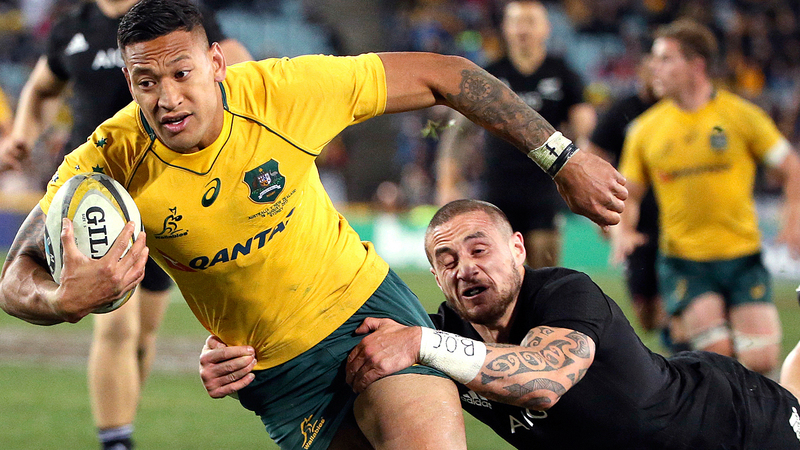 Wallabies coach Michael Cheika called Folau one of the best players in the world. "Israel’s contribution to the Wallabies since making the switch shows why he’s one of the best players in the world," Cheika said. "It is great to see him make a long-term commitment to the Wallabies and Waratahs and I know that he’s still very keen to become an even better player in that time, as well as achieve success with the Wallabies. "I’m sure he is ready to kick off his new adventure in rugby with a huge year in 2019 – he trained hard at the National Camp in early January and you can see he is ready for a big one."